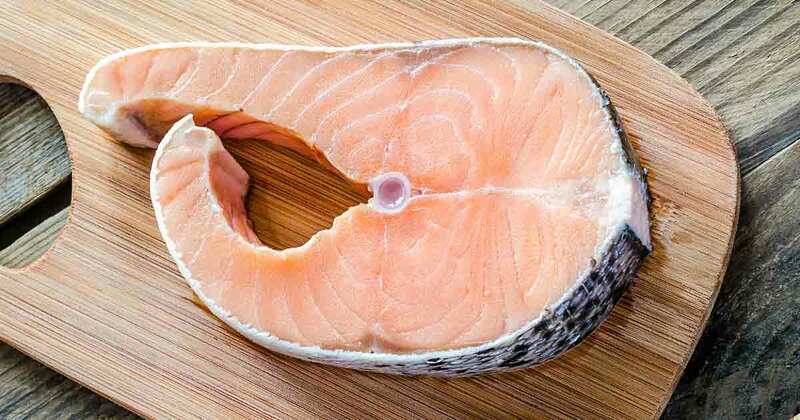 Salmon steaks are the result from making vertical cuts all the way through the fish. This cut resembles a beef steak in the thickness, usually 1 -2 inches thick. The thickness of these steaks makes pan-frying and grilling difficult due to the steak finishes cooking the outside before the inside. 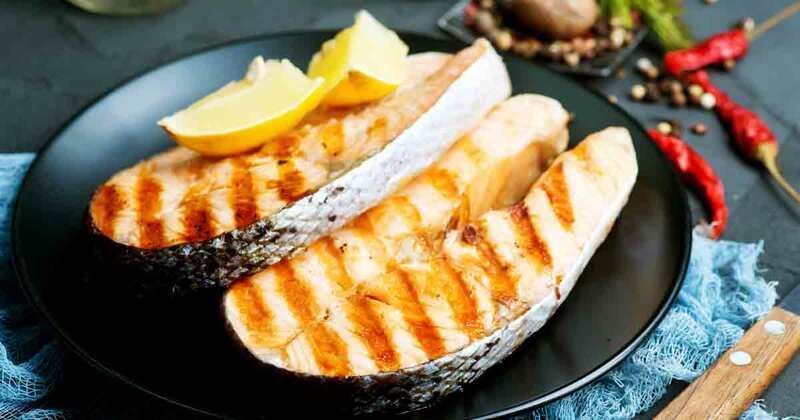 It takes less time to cook fish steaks than a fillet because steaks often have bone in and skin on. Salmon is tender, tends to fall apart, and cooks fast. Brush both sides of Salmon with melted butter. Sprinkle both sides with Salt, Pepper, Rosemary, and Crushed Red Peppers. Place Steak on Top Rack in Broiler Pan. Remove and Brush with butter, then carefully turn steak over brush butter on top of steak.